Ultra Marathon Running: The North Face 100 - What happened and what did I learn? The North Face 100 - What happened and what did I learn? 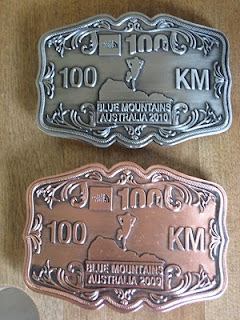 On Saturday 15th May 2010, I toed the start line of the North Face 100 in the Blue Mountains with my friend Marty, and I had a point to prove following last year’s result. 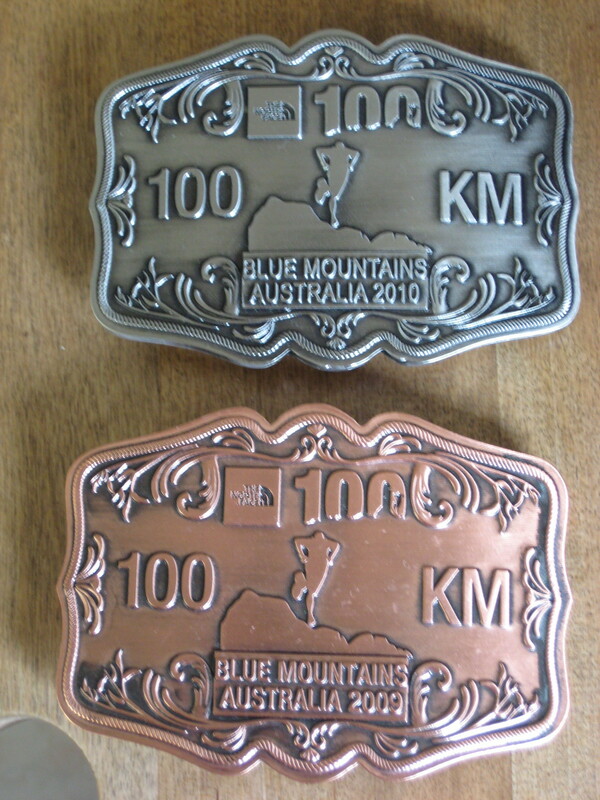 TNF100, like many Ultra Marathon races, doesn’t award you with a medal that you keep in a draw collecting dust. Instead you earn a belt buckle which stays in the same draw! Such a trophy has become common in the sport where the tradition stared in the Western States 100mile race in the US. It was originally a horse race and those riders who completed the course in under 24 hours were awarded the sort of trophy any cowboy would be proud to display. 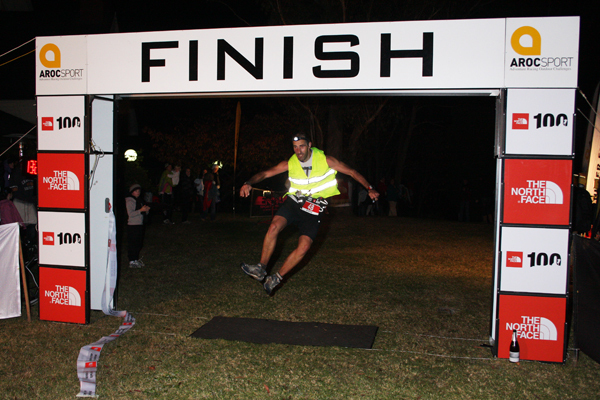 Now for TNF 100, you can earn a gold buckle (if you win), a silver buckle (if you complete the course in under 14 hours) or a bronze buckle (if you complete the course in under 20 hours). In 2009 I came home with the bronze buckle, having missed out by about 50 minutes. I was determined to convert this to silver for 2010, but in reality I don’t think I’d trained any harder, so I was not really sure how I was going to shave 50+ minutes from my time. Physically I was in no better shape, but mentally I knew what to expect, and this I believe was the key factor. There are two particularly tough sections in the race. The first is from about kilometre 60-63, which is the 400m vertical ascent from the valley bottom to top along a rough track and then an energy sapping set of stairs. In 2009 this section pretty much broke me. It was at a point further than I had ever run before, and so much more brutal than anything I had expected. I was raising a lot of money for charity, and along with the encouraging words of fellow runners (including “Ultramarathon Man” Dean Karnazes), I had a commitment to fulfil and it pulled me along. 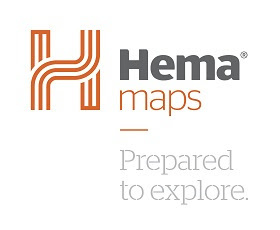 The second tough section is between 80 km to 86km, which is a steep and seemingly never ending uphill drag which you do in the dark (unless you happen to be in the running for a gold buckle). This has about 700m of vertical climb in it, at a time when your legs are numb, and the voices in your head are only telling you to stop. This section in particular is the cause of many a DNF (did not finish), and if ever you try it, you’ll know why. This year, I was prepared for these sections and was actually looking forwarding to facing my two nemeses. We had unfinished business from last year, and it was my turn to put the record straight. During the first half of the race, everything went according to plan. I felt strong, and kept to my nutrition and drinking plan pretty much exactly as I hoped. Amazingly in this respect I fared far better than in any of my training runs. I put this down to a good taper period and a successful carbo-loading period (both of which I’ll cover in more detail on another day). The section half of the race is more mental than physical, especially for me given the challenges I had set myself. Approaching the first climb towards the steps at Nellie’s Glen, I was chatting with another runner, who I had discussed my experiences from last year. He was far more experienced than I, and wisely stated that you won’t make up much time on this section, but you can lose a lot, or even take yourself out of the race altogether. So the steps arrived, and my legs were tired, but it is amazing how the power of your mind can overcome any physical hardship you may be suffering. Now I didn’t race up these by any means, just a steady walk, and that was all it needed. I had a caveman moment at the top, where I let out a triumphant primeval wail, as if to say “Is that all you’ve got?”, and there was no reply. Chest puffed out I actually ran on to the next checkpoint. I stopped at the next checkpoint for about 15 minutes, so that I could get plenty of food and drink on board, change my shoes, and if I’m honest, I was enjoying the sit down! Had great support from John and Clive who had come out to crew for me, although I think the only reason they had come along was to see me suffer. From this point there is about 13kms of downhill along paths, stairs and fire trails. Now the downhills for me are enjoyable (relatively speaking), but in the back of your mind you know that every bit of downhill has an uphill counterpart. By this stage there are a few runners about, but the conversations are pretty limited. I put this down to general exhaustion and the preoccupation with the voice in head telling you how hard it is and “You really should stop”, “It’s not worth killing yourself for a belt buckle”, and “Only 5 more km of this hill to go”. To run on this hill really does require some form of super human strength, a skill that I was regretting not having at this point. However, the same tactic of steady strong walking proved to be highly effective. Given the darkness, and monotony of the hill (which for me lasted almost an hour) you get into an almost trancelike state as you keeping putting one foot in front of the other. The trick for me was just focusing on a strong upright stance, and maintaining a consistent rhythm. The occasional stare up at the stars was just fantastic too. It distracted your mind from the difficulties of the task at hand. This section, and indeed any physically challenging task highlights the psychological arm wrestle that goes on between your conscious and subconscious mind. The result comes down to which has the stronger will, and I had made it my mission that I (my conscious mind) was going to prevail. With this out of the way, I wouldn’t say the remaining 11kms after the final checkpoint were easy, they are very tough. However, because of my performance in the previous section, I knew that I could have a good 15 minutes rest at the checkpoint, and should still comfortable get home in under 14 hours. This was a point I shared with everyone I met on the final section, in the hope they would reassure me that my assumption was correct. The mental lift I had from this belief, allowed me to draw on more physical resources than I thought I had. I felt strong and relatively fresh, as I was not overtaken in those final 11kms. Approaching the finish line I do what I am sure many other competitors do, and that’s plan my victory celebration. I leapt in the air, clicked my heels and proudly posed for photos! 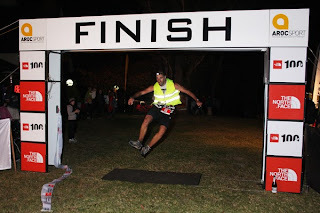 The end of any ultra marathon event is unique in the sporting world. The support you receive is incredible, and probably the only event where the person who finishes last gets a cheers as big if not bigger that the winner. We’ve all got our own little goals and targets, and they’re very personal, and it seems as if everyone watching knows and wants to share it with you. I crossed the line in 13 hours and 26 minutes, and about 2 minutes after crossing the line I was wearing my silver buckle! So I’ve had time to do some comparisons between this year and last. I felt as though I ran about 50% more this year and was much more in control. When I checked my split times for the first half of the race, I was actually a few minutes slower on the first and third sections, and about 10 minutes quicker on the second. The difference was I had much more in the tank, and had the experience to keep eating and drinking when I didn’t feel like it. Even though I had a reasonable stop at the last two checkpoints, I was at these for about 40 minutes more last year. I really did need that rest last year, whereas this year I could have shaved another 10-15 minutes off that stopped time had I been in a rush!! A lot of the improvement comes down to knowing you can complete the distance having been there before. On a first outing in such an event your body doesn’t know for sure that it can get you around, and your subconscious is very conservative, so gets over protective and slows you down more than is necessary. On subsequent attempts your subconscious give you a little more rope! Tomorrow, I’ll discuss recovery, what the textbooks say, what some others say, and what I have learnt. Then I’ll be getting my shoes back on and will start some gentle training for the next event in my schedule.